What Adults Have Influence With Your Teens? Did you know that teenagers who seem to have the best success moving into healthy adulthood have a “community” of adults walking beside them? The first place to look for that community is obviously at home. Are both you and your spouse invested in your children in a positive way—daily? If not, find ways to connect on a relational level and not just a transactional level. In other words, talk about something that is important to your child. Don’t just focus on what he needs to do. The next thing to consider is the connection of extended family. Are grandparents and maybe some aunts, uncles, and cousins engaged enough to enhance the spiritual growth of your kids? Extended family is important as it helps kids figure out who they are, where they belong, and is an essential piece in helping our tweens and teens understand the bigger picture of the world they will be launched into. However, let’s face it, with the transient nature of our world today, it’s not the norm for extended family to live in close proximity. If your family is like ours, we’re scattered from one coast to the other and even across the Atlantic. Family get-togethers are next to impossible. For us cousins see each other at weddings and barely know each other. Aunts and uncles sometimes have only bits and pieces of information about our kids. That means our kids are not truly known by the family. That’s why community is so important. We need to help our kids connect to people who can impact their lives in a positive way. They need to have relationship with people that have similar values to our own. I love what Reggie Joiner and Carey Nieuwhof say in their book, Parenting Beyond Your Capacity. “When you widen your circle, the goal is to have other trusted adults in the lives of your children before they need them so they will be there when they need them. Think about that. What Joiner and Nieuwhof are really saying is that those relationships need to be forged now while our kids are still under our roof. We’re not talking about acquaintances here. We’re talking about people who are willing to pour into our kids, affirming them, giving them sound advice, and building trust. These are people who are actively choosing to connect with our teens. If these people are in place early in our kid’s lives, then when trouble brews (and it most likely will), and our kids don’t feel as though they can come to us, there is someone who can be there for them pointing them in the right direction. That means we need to help our kids find meaningful relationships in the church—and lots of them. Create community with those who live near you and have similar values. I didn’t realize the significance of that community until my son’s graduation party several years ago. Shocked beyond belief and feeling like I wanted to hide under a rock, it hit me that I had obviously left someone important to my son off the guest list. Somehow I managed to pull myself together enough to apologize profusely and invited the man and his wife to our home for the celebration. In the car on our way home my son rattled off his list of memories with this important man in his life. I was absolutely amazed at the depth of their relationship. Even though my son has graduated from college and been out on his own for several years now, he has maintained a relationship with this dear man—and to think that as a mother I had no idea as to the significance of their connection. What I discovered was that this man had impacted my son from AWANA and continued connecting with him regularly—just to say “hi” and ask him what he was doing in his life. He made my son feel important and significant. What more could a mom want for her child? So how do you build that community? 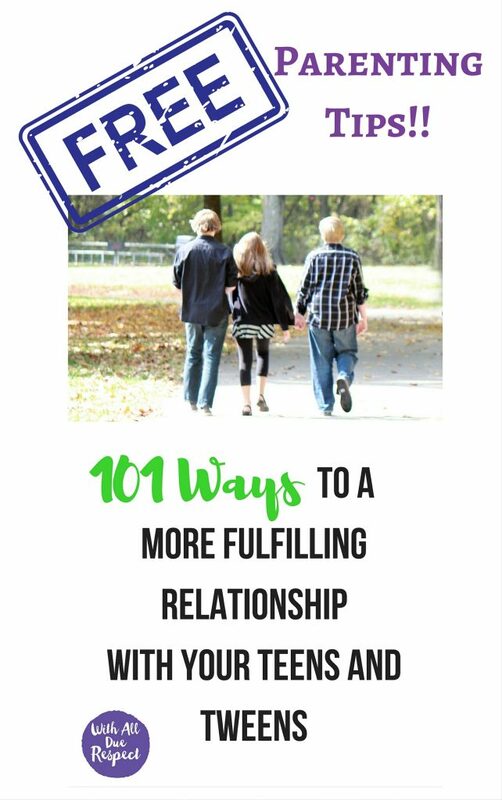 Encourage your kids to participate in activities that will naturally breed relationship. I mentioned AWANA which is a fun kid’s program that focuses on scripture memory, but good youth programs or retreats will do the same thing. Find a program where the leaders want to be there and love kids. Make sure your kids are encouraged by the adult leaders and that relationship is built one-on-one. Find families with similar age kids and create your own community. Have a cookout, go camping together, find ways to engage the families such that the adults get to know the kids and are willing to pour into them. Create activities where your kids will be known by the other adults. Become friends with parents who are further along in the parenting process. Empty-nesters are a great place to connect. Not only do they have time to pour into our kids but they have the experience to help us navigate the bumps in the road when things get difficult. Treasure these people like pure gold. My oldest had one of those ‘pure gold’ people in his life. This gentleman met with my son weekly over coffee from the time my son was 16. Not only would they meet at my son’s favorite place, but I’d frequently see them together in the hallway at church on Sunday morning. On occasion, after my son had given him permission, I would get a call from this dear soul asking to pray with me about a particular situation my son had shared with him. There was a time in my son’s life when he was contemplating some heavy decisions about his then upcoming marriage. Yes, my son spoke to both my husband and me about what he was wrestling with, but his first thought was to go to this beloved mentor. I thank God for this awesome man who has so touched our family. Whether we want to believe it or not, our teens don’t want to tell us everything. They need people who will pour into them and bridge the gap just like this Godly man did for us. Dare You to start looking for adults outside the family to create connection for your teens. I guarantee it will be worth the time invested! Kids will be back in school soon and it’s a great time to get a group of moms together to grow in your parenting. Why not grab a copy of With All Due Respect: 40 Days to a More Fulfilling Relationship with Your Teens & Tweens and go through the book? Churches across the country are using it in their Women’s Bible Studies as well as their parenting groups. In 9 weeks you’ll have built a community to lean on during your parenting struggles. And if you have great kids already, you’ll still grow as you move into the launch phase of parenting. If nothing else, we know that the book will help you grow in your relationship with God. Try it! We Dare You! Want to lead with confidence? 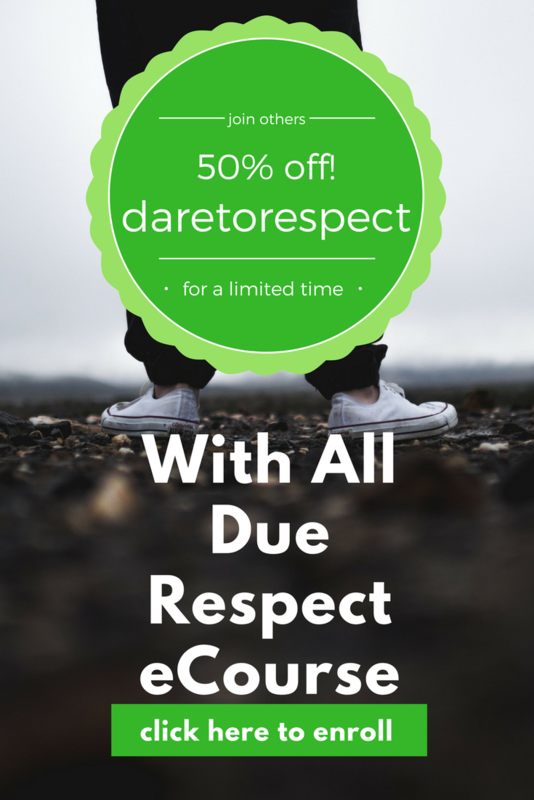 Check out our With All Due Respect Leader’s Guide.